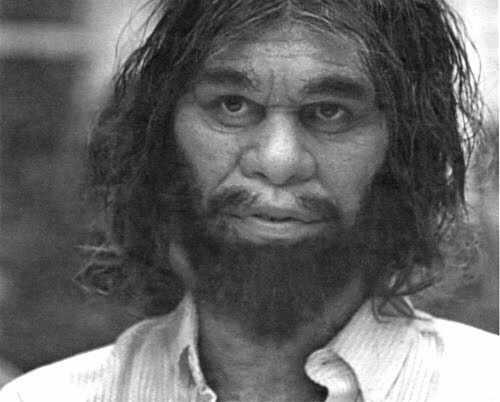 The Geico cavemen commercials, produced by The Martin Agency’s creative team, were wildly successful. Toeing the thin line between memorable and innocuous (the bestowing onto us of 3 Doors Down notwithstanding), they drove home the simplicity of Geico’s website at the expense (or lack thereof) of a demographic that, by definition, no longer exists, leaving no one to offend. In 2007, the same year Geico surpassed 8 million policyholders, a set of commercials aired hours before Super Bowl XLI on CBS featuring one of the cavemen verbally sparring with former New York Giants quarterback Phil Simms on a golf course. Simultaneously, Geico released Caveman’s Crib.com, an interactive website that allows visitors to poke around one of the caveman’s surprisingly well-decorated apartments in an attempt to both satisfy and further stoke the tongue-in-cheek fan theories surrounding the story behind the characters from the ad campaign. (The website is now defunct and www.cavemanscrib.com redirects to Geico’s main site). Joe Lawson, the primary creator of the cavemen characters, found himself in the middle of a cultural phenomenon. Just a few months after Barack Obama ushered in an era calling for the re-examination of perceptions of race in modern society with his presidential candidacy announcement, Cavemen’s first pilot was rejected for being too racist. The episode, never having aired on ABC (but available in its entirety on YouTube), revolves around protagonist and working-caveman Joel’s concern over receiving his (human) partner’s father’s blessing to have her hand in marriage largely due to his lower-class status as a caveman. While he plans on confronting his potential father-in-law about the issue at a country club barbecue her family will be hosting, his roommates also share concerns about how receptive they’ll be. Nick, the perpetual Ph.D student who is always just busy enough not having a job to avoid working on his dissertation, argues that despite the human race’s insistence that systematic discrimination against cavemen is over following “750,000 years of oppression,” the basic-cable Flintstones episodes and societal refusal to condemn usage of “yabba dabba doo” imply otherwise. (However, they’re careful to clarify that it’s okay for cavemen to use the word “cro-magger,” but no other species is afforded that privilege.) Regardless, Joel presses on, and is disappointed to learn that the only other cavemen at the barbecue work at the omelet station and the tennis courts. Imagine a ham-fisted Get Out. Thankfully, Lawson and co. were privy enough to reexamine the show’s purpose. Original roommate Jamie – who is implied in the unaired pilot to be the lovable but hapless dunce of the three cavemen protagonists – is replaced by the much more emotional Andy, a move likely intended to draw more attention to the stark contrast between the cavemen’s emotional depth and their tough-guy perception in popular culture. This was, after all, the reason the original ad campaign was so successful. The juxtaposition of a culture historically seen as brawny and, well, primitive, who in reality not only resides in a posh apartment and orders the roast duck with mango salsa but also embodies the social awareness to actively combat microaggressions (even in their own workplace) makes for amusing 30-second advertisements. However, despite some final recalibrations (including moving the setting from Atlanta to San Diego for good measure), the concept continued to flounder in a half-hour sitcom format, and the next few episodes revealed the driving force behind the show’s woes to be the writing itself. In episode three, Nick Get Job, their unemployed roommate finally obtains floor-level employment at Norskbild, an Ikea clone, largely because Joel holds an assistant management position. After getting fired for refusing to carry out his daily tasks, Nick files a discrimination suit against the company, alleging unjust firing based on his social status as a caveman. This characterization of reallocating blame to socially ingrained discrimination rather than one’s own shortcomings (in anti-SJW-speak, playing the race card) is part of a contentious, largely partisan discussion that only intensified in the wake of President Obama’s election and the subsequent #BlackLivesMatter protests that sought to identify the root cause of racial mistreatment in the US. A widely dispersed network television show that clumsily identifies racial discrimination to be caused by the systemically disadvantaged’s own reckless behavior (and, in turn, implying that legal recourse against these discriminatory behaviors is simply a way to avoid introspection) only seeks to reinforce these racist views. But the show’s poor choice in social critiques don’t stop there. In addition to microaggressions unfortunately relatable to many minorities today sprinkled throughout the series (Joel and Andy are routinely confused for each other by their landlord; “You all look alike!” she responds flippantly), some of the later plotlines were just as tone-deaf as the misguided pilot. Episode six, entitled The Shaver, introduces Joel’s human friend Jake who – you guessed it – is accused of being a caveman in disguise who shaves off his body hair as a way to blend in with the socially privileged. This brings to mind the multi-billion dollar industry of skin whitening, a practice that is “driven by the still rampant darker skin stigma and rigid cultural perception that correlates lighter skin tone with beauty, cultural refinement and personal success in several communities in Asia, the Middle East, & Africa,” according to a Strategyr marketing report. Although the industry is particularly prominent outside of the Americas, some darker-skinned western celebrities like Michael Jackson and, more recently, Sammy Sosa have engaged in the practice. Perhaps the show’s closest brush with constructive satire occurred in episode five The Mascot, in which Nick takes on a new job as a substitute teacher at a local high school. After spending most of his teaching time decrying the indoctrination of students in the modern education system and espousing the dangerous incentives of government tampering with the water supply a la Alex Jones, he becomes offended after learning that the school’s mascot is “The Savage,” a cartoonishly-drawn caveman who carries around a large club. The scene where Nick brings his concern to a school official almost becomes constructive; she pays him lip service, assuring him that she’s aware of his concerns and believes that cavemen are part of the school’s history and that their depiction is in no way derogatory. This smartly imitates the type of argument used in a letter from Washington Redskins owner Dan Snyder to fans following an urging from leaders of the Congressional Native American Caucus to reconsider the NFL team’s controversial name. Maybe the writers were finally onto something. But just like when Nick weakly apologizes to school officials after losing his temper and beating the high school’s racist mascot with its own club while students surround them chanting Ook! Ook! Ook!, it was too little too late. By the time The Savage aired, the number of viewers Cavemen was receiving had nearly halved since its pilot, and both Metacritic and IMBD (the latter of which has a notoriously left-skewed rating system) panned the show. It made multiple worst show lists, and the qualitative reviews were even harsher. It seemed almost merciful when ABC executives decided not to revive the show after the conclusion of the three-month-long Writers Guild of America strike, which began less than halfway through the season. A DVD containing the complete first season, including the final seven unaired episodes, was promised but never delivered. Among the graveyard of ill-conceived network television shows that perished in their infancy, what can we learn from Cavemen, beyond that it’s a bad idea to prepare for a 13-episode pilot season with little more than a series of amusing insurance ads? Most prominently, we should note that the show’s clumsy delivery violated what may perhaps be the golden rule of satire: without careful language and purpose, it’s easy to contribute to the very narrative that one is attempting to criticize. Considering Lawson had initially claimed that the cavemen could be used as a vehicle to critique political correctness, it’s not difficult to understand why the show’s half-hearted attempts at lampooning race relations may not have been as successful as ABC executives hoped. Of course, the stakes are heightened when the subject to satirize is related to privilege and the perception of marginalized groups (especially when the writer is not a member of said groups), and this was Joe Lawson’s first attempt. Even the satirical heavyweights at The Onion have misfired in this realm before; in 2013, they issued an apology for a tweet calling a young actress a sexist slur in an attempt to satirize the relentlessness sexism against women, no matter how young or innocent, in the entertainment industry. Comparatively, The Onion didn’t face nearly as much social backlash for any of their content regarding 9/11. Since the conclusion of Cavemen, Lawson has gone on to write and produce for the critically acclaimed network sitcom Modern Family, as well as a host of other well-received network shows. Even more recently, he’s produced for the successful Netflix original animated show and dark satire BoJack Horseman. Lawson himself penned several episodes in the critically acclaimed third season, including an episode that earned him a Writers Guild of America Award, proving that he’s come a long way since his Cavemen days. You could even say that his grip on satire has evolved, if you will.